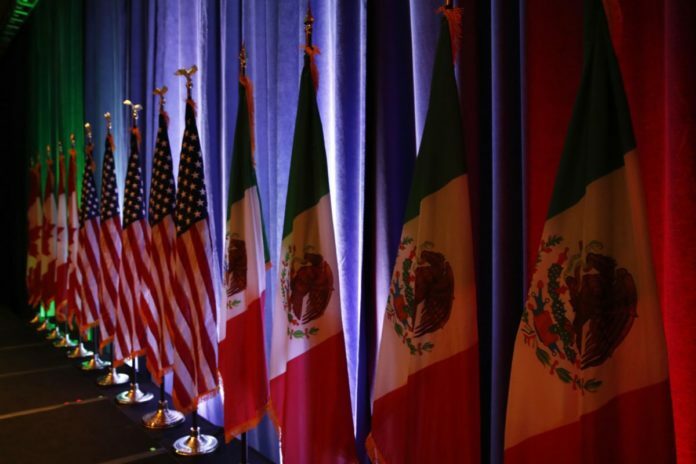 In this Aug. 16, 2017, photo, the national flags of Canada, the U.S. and Mexico are lit by stage lights before a news conference, at the start of the North American Free Trade Agreement renegotiations in Washington. 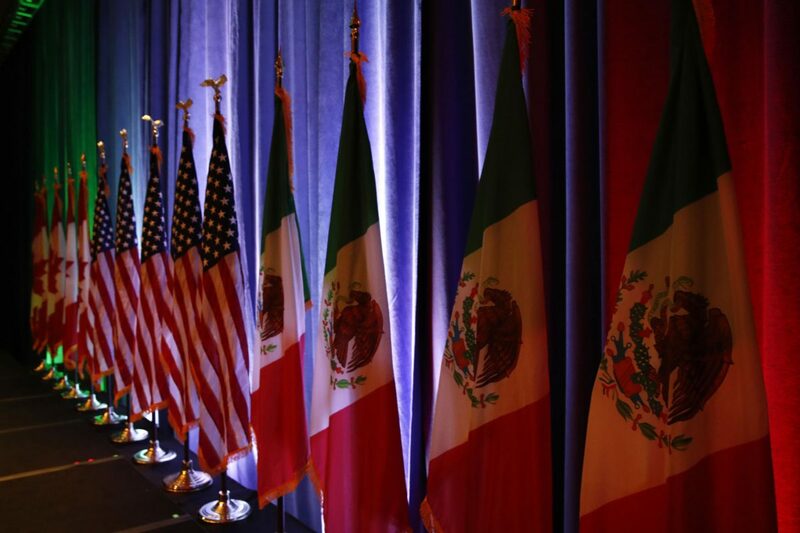 It’s handled in hypothesis, Tony Payan cautioned, but as July’s Mexican presidential election inches closer, the more complicated renegotiations for the North American Free Trade Agreement could become. Payan, director of the Mexico Center at Rice University’s Baker Institute, is not alone. And the question now is whether the July 1 election will prompt the Trump administration and its NAFTA negotiators to adopt a sense of urgency. With regard to the agreement that helped transform the Rio Grande Valley economy, NAFTA renegotiation talks have, at least publicly, progressed slowly recently. In November, Canada, Mexico and the United States seemed to come from the fifth round of negotiations in Mexico City with little optimism. This past week, an “intersessional” round of talks took place in Washington, which did not include top trade officials from the three countries. The next round is scheduled for Montreal in January. As the Montreal session should prove pivotal, a growing group is urging the administration to honor its initial promise of “do no harm” to the trilateral, two-decade-old treaty.